“Will We Recover Our Responsibility for God’s Creation?” is the final essay in a larger intergenerational conversation on a twenty-first century faith. 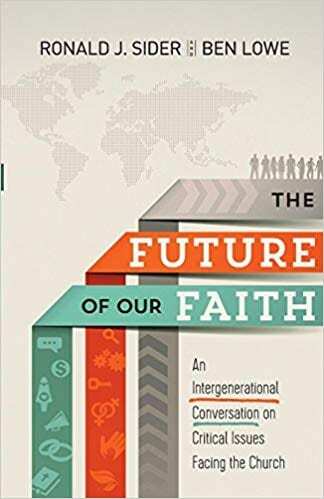 The Future of Our Faith: An Intergenerational Conversation on Critical Issues Facing the Church is a work by Ben Lowe and Ronald J. Sider working to bridge the divide between generations. They recognize the “inter-generational tension” present within the church, and in this work, they welcome each other into conversation. 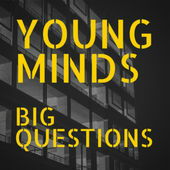 They each present four essays on major issues facing the church with responses from the other. The final issue addressed in the book is our care for creation. Both from evangelical backgrounds both Lowe and Sider are advocates for creation care. 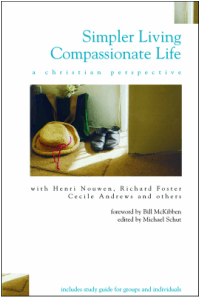 Lowe raises the issue and first acknowledges the indifference, dismissal, and occasionally aggression he has received in congregations when he has breeched the call of care for creation. They reclaim an evangelical theology which calls believers to be stewards of a creation divinely gifted to a broken humanity. For many Christian congregations and communities, especially ones who identify as evangelical, this book provides a platform on which to have one’s own intergenerational conversation. In a time when generations are so polarized, this book does the hard work of being in Christian community and love with those generations which precede and follow us. This book can be found on Amazon, major book retailers, and your favorite independent bookstore. More information on Ben Lowe can be found at his website here. To learn more about Ronald J. Sider click here to be taken to the Evangelicals for Social Action website. 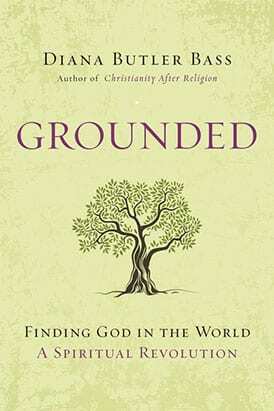 Acclaimed public theologian, Diana Butler Bass’s 2015 book Grounded explores the connection of contemporary spirituality and nature. In opposition to many voices within the church who run in fear from the changing American spiritual landscape, Bass sees an invitation to participate in a spiritual revolution. Throughout the book, Bass deconstructs a vertical theology in which the divine is above and separate from humanity and the Earth and turns instead to an understanding of the divine’s immanence. She also recognizes the need for something stable in an age of change. She turns to the presence of the divine in dirt, water, and sky to find her own ground. Bass recounts her conversation with a man who was a writer and farmer whose own experiences in close encounter with the ground had led him to a profound spirituality. In the chapter on water, Bass looks at current events and argues that water is vital to a flourishing spirituality. Bass gracefully reconciles the big bang theory with the book of Genesis in her chapter on sky. For the second half of the book, Bass considers more specific structures of human experience, finding the presence of the divine in roots, home, neighborhood, commons, and revelation. This book is a bridge from a disconnected church and culture to an Earth created in beauty. Bass’s utilization of memoir contextualizes her theological analysis making it remarkably accessible. For those questioning where to turn in an unstable spiritual time, Bass offers a hopeful perspective that uplifts a twenty-first century faith firmly rooted in human experience of the natural world. The ecumenical approach found in this book makes it a wonderful choice for book groups across Christian denominations. To be directed to Diana Butler Bass’s website click here. Grounded and Bass’s other works can be found on ebook or in print through Amazon, other major booksellers, and your favorite independent bookstore. God ‘Making All Things New’ Doesn’t Mean Christians Can Ignore the Environment is an article written by Nancy Sleeth, the managing director for Blessed Earth. The article focuses on the best way to respond to tough questions Christians may have about creation care. To read the entire article, click here. In 2009, the Archdiocese of Cincinnati signed on to the St. Francis Pledge to Care for Creation. Since then, they have started their own Climate Change Task Force. This task force has adopted the mission of committing themselves to work towards a sustainable world based off of the responsibility to Care for God’s Creation. They work to implement the five pillars of the pledge: praying, learning, assessing, acting, and advocating for the environment and the poor. To read about recent activities the Climate Change Task Force has engaged in, click here for a pdf guide. To learn more from their website and offered resources, click here. Sojourners is a magazine that covers the intersection of faith, politics, and culture. They focus on social justice, life and peace, and environmental stewardship. Their topic of creation care encompasses stories on the ecological disruptions that affect the poor and vulnerable more than others. They strive to tell the stories of those who are most affected and keep the public updated on policy changes and sustainability advancements. To read these articles and other faith and culture related posts, click here. When groups share a common cause, they can see past their differences to work towards a goal. This is what has been happening recently when it comes to conservatives and liberals. These two groups are bonding over caring for the earth in their own ways. To read about how this relationship is developing, read the full article here.